Hi friends! It's time for another Featured Friends! I can't be more excited to introduce Tiffany and Chris, a traveling couple from New York. You may also recognize them as Vagabond Way! As always, I asked them 10 curated questions about themselves, their travels and blog! Enjoy! 1. Tell us about yourselves! We’re Tiff and Chris, aka the couple behind Vagabond Way. We both originate from Western New York State. We always add in the ‘western’ part otherwise everyone thinks we’re from New York City, but we’re actually about seven hours west of the city and grew up in the beautiful Finger Lakes Region. 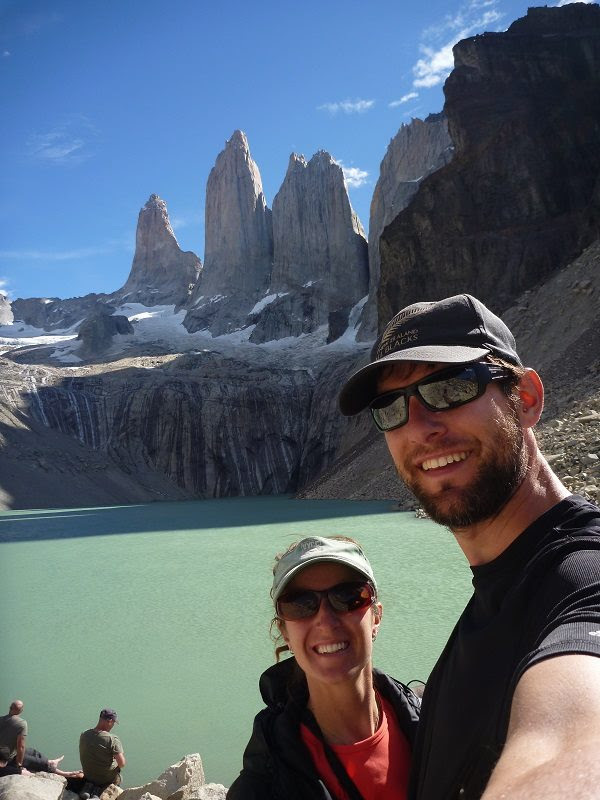 That's us while hiking an 11 day loop in Torres Del Paine in Chile. 2. What's the story behind your name, "Vagabond Way"? Oh…I’m so glad you asked! We spent a couple months deciding on our name. I wanted a name that reflected us and would hopefully be catchy as well. As a writer, the connotation of the words were super important to me and I filled a notebook writing down the meanings and Latin roots behind words like, ‘wander, travel, vagabond, meander’ and so on. One of the definitions of vagabonding (n.) is: a deliberate way of living that makes freedom to travel possible. That was what we wanted people to know about us. With this name I also felt like I was paying tribute to Rolf Potts, one of the greatest writers and proponents to long term travel in our time. The first time I picked up his book, Vagabonding I stayed up most of the night and read it cover to cover. I hope our name also challenges stereotypes. People have a lot of preconceived notions on both the word ‘vagabonds’ and also how they think they should lead their life based on what society has told them. When we tell people our story and that we call ourselves ‘Vagabonds’ so often we get the response, “If that is how you live as a Vagabond, I would be that type of Vagabond any day.” I think everyone, on some level, has the ability to create their own path in life, live a life based around their passions and not fall into any slumps based on a preconceived notion. We met in a Wilderness Adventures Club at Buffalo State College and University. The club was going mountain biking and we happened to car pool together. We went biking all day, which was great, and then on the way home got into a big debate as to whether cheerleading was a sport or not. I said it was and Chris said it was not. Over the next hour drive back to campus we went back and forth on this. We got to my place where I got out of the car, grabbed my bike and say goodbye. Over the next few hours I was fuming so I called Chris up to say, “I don’t care if you think I’m crazy or weird, but you don’t get to think you won this debate just because I had to get out of the car. This debate is not over.” I was met with silence (finally) and we have been talking…er…debating ever since. We have now been together 14 years and officially married 9 of those. I don’t know if I had any particular ‘ah ha’ moment to decide to blog, more so just an unceasing feeling that I must do this. I have always felt a desire to share and connect with people in the hopes of encouraging them to better themselves and better myself too in the process. Going to school for art (I studied theatre, design, fine art and parks and recreation) blogging was a space I could create in and combine all my passions. After almost two years of living in Australia, we felt it was time to go back near family for a little while. I have a dad who has aged quickly and Chris has a large family so we wanted some time to be physically nearer to each other. So we set up a deal and lived with my sister and her husband for six months. Chris worked at a ski resort nearby and I used that time to see if I would and could actually blog. Fast forward and it’s been over three years of consistent blogging. 5. What are the biggest challenges of traveling as a couple? Agreeing on the small things. Big life goals we usually share the same vision (do we want to have kids: no –or-- do we want to go to Africa or South America: both so we choose Africa first.) It’s the small things that will trip us up (do we do laundry first or go to the grocery store first –or-- do we take the 8 am bus or the 10 am bus?) If we are not careful with each other these smaller decisions can send us spiraling into major disagreements. From the outside looking in, these probably seem like silly examples. But when you are traveling for an extended period of time you are constantly having to make a ton of decisions every single day and sometimes hour by hour. Where do you go, how long to do you stay, do you take a train or bus, do you stay at place A or place B? At first it’s the thrill of being on the road, but after a while it can become exhausting and lead to decision overwhelm. When you finally do make a decision, if it doesn’t go smoothly the first thing to do is blame the other person. So we have really tried to understand that about ourselves and do a better job of preparing for what we can so when the unexpected happens, we are better able to roll with the punches. Learn to know yourself as a couple and what may set the other person off. 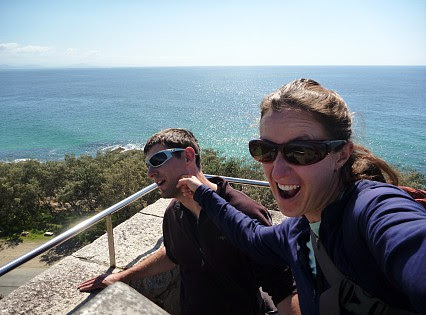 The last thing you want to do is fight with the one person you are traveling with 24/7. 6. What are the best things about traveling as a couple? Non sentimental answers: Cost savings, always able to watch one another’s back, someone to reach all the tall things, two minds to problem solve and/or give confused looks to locals when you are trying to figure something out and have no idea what you are doing and someone to hold my camera bag when I have to go to the bathroom. Leopard walking right past our car in Kruger National Park, South Africa. 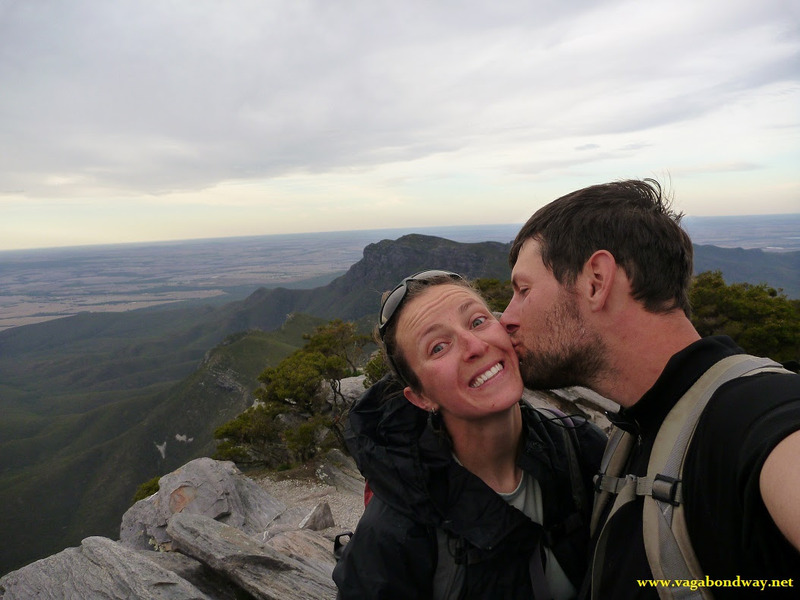 Sentimental answers: Traveling with the love of my life and sharing some of the best experiences of our life together. I would be so sad if Chris wasn’t by my side when a male leopard literally walked right by our car or the wildlife we saw hiking out to a remote research station in Costa Rica. Having all these moments together is a huge part of what makes our life feel so full and alive. 7. Tell us about a trip that took you out of your comfort zone. Learning to dive on a small island off Sumatra, Indonesia was an experience where both of us felt quite outside our comfort zone. Learning to SCUBA dive is something we each had wanted to do for a long time, but it still didn’t mean that it didn’t make us a bit nervous. Chris and I are each Aries, A type and control oriented personalities. Being underwater, feeling completely out of our element and participating in this activity that has the potential for serious consequences totally freaked us out. Breathing through the mouth piece, feeling my head completely submerged in water and looking way up above to the AIR above the water was unnerving for both of us. But we both committed, followed through and paid attention to the rules to mold us into the best divers we could be. I actually learned that so many scary ‘what if’ scenarios for the average diver may face can all be mitigated in most situations if you follow good diving practices (side note: I think that is a life metaphor.) Now 30+ dives later and swimming with over a dozen bull sharks and countless other marine life, we are so glad we took the plunge. Almost any time we are trying to learn a new skill we feel outside our comfort zone. This is one reason we think travel is one of the best teachers, by default one is constantly put in new situations. Before we learned to Scuba Dive, I had never even swam underwater with a snorkel - let alone full dive gear! This photo is from the island Pulau Weh, Indonesia. 8. Name 3 of your favorite places you've ever traveled to and why. Oh this is so hard, at least I can name three! Australia – We had some of our best times in this country such as working in a remote mining town and becoming a barista (something I have always wanted to do) and also swimming with whale sharks. We lived in an ’89 Mitsubishi Van and drove over 50,000 kms across this diverse country and continent. Our experience was tremendously positive and we had many opportunities come our way during our time there that have helped propel us forward in life. 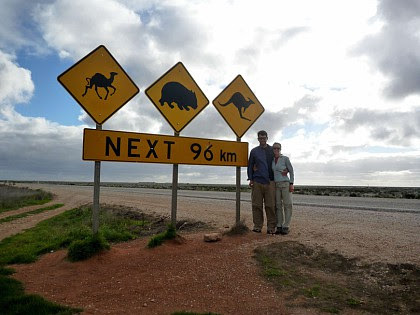 Crossing the Nullarbor Plain, Australia. 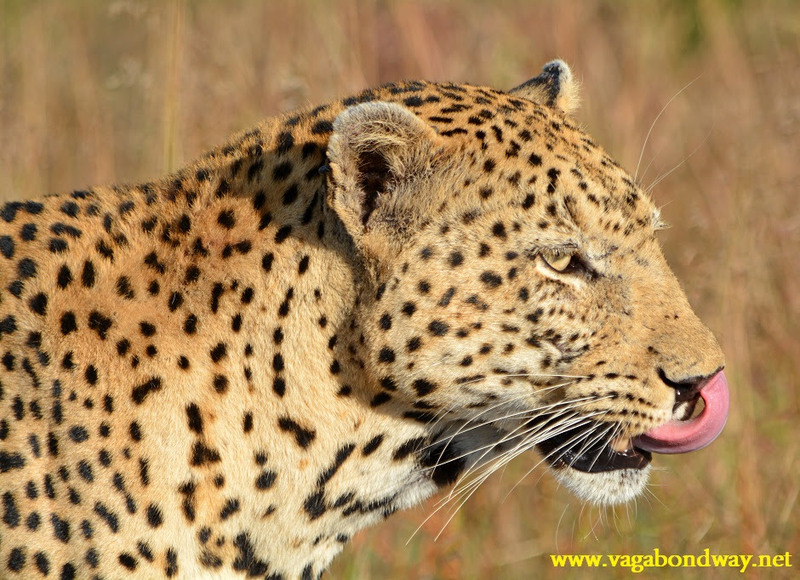 South Africa – this country just blew us away. Had I known how easy, affordable and safe I felt in SA I would have saved for the plane ticket years ago. We spent a month self-driving and stayed almost all of that time in the national parks camping and I would go again without blinking an eye. 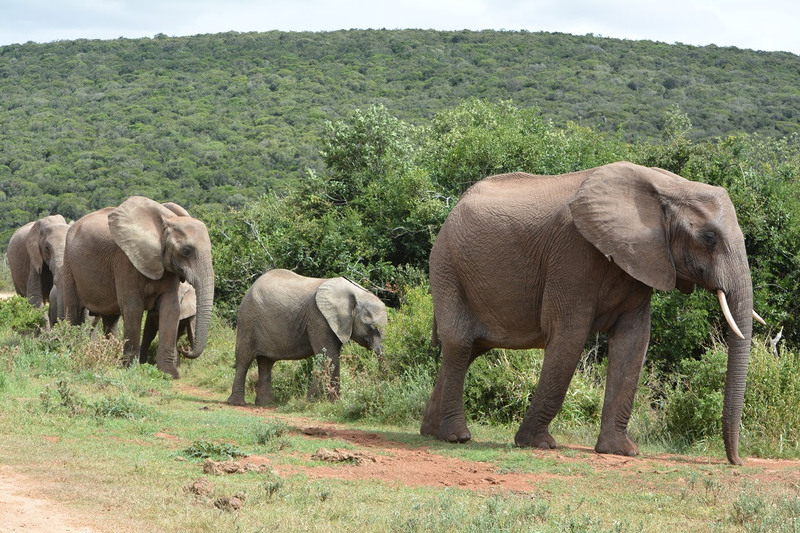 Elephants in Addo Elephant National Park, South Africa. Vermont – this is one of my favorite states I have lived in. This is where I feel like I found one of my core group my people state side. I love the food, culture, nature and mindset of Vermonters. Often times I would be standing in line at the post office and start talking to the person standing next to me about how their tomato plants were doing that season. There are other states I really want to live in too, but Vermont holds a special place in both our hearts. 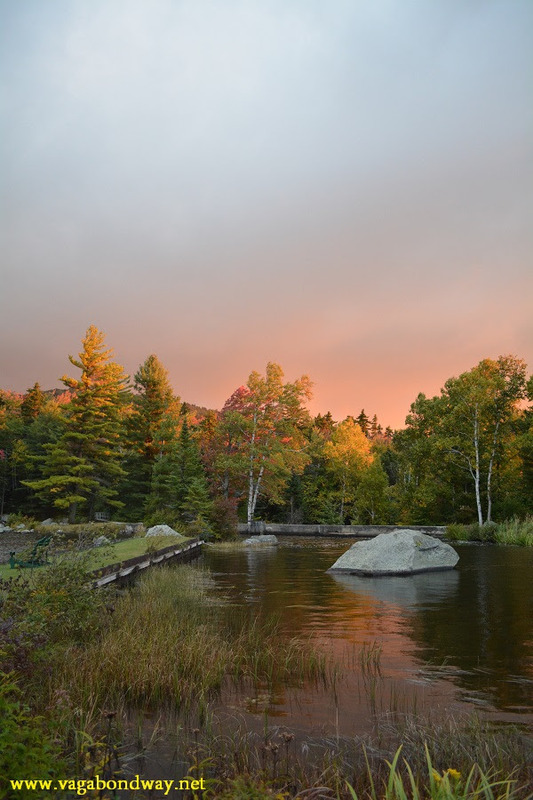 Vermont is so beautiful and this was our back yard for three summers. 9. What do you have planned for 2017? This question causes me to laugh a little because I don’t know what we’re doing in five days! The first half of 2017 will still be part of our year long Southeast Asia trip. We anticipate being in the Nepal and/or India area in the spring time and hope to see tigers in the wild. That said, we are looking ahead and brainstorming some long term ideas about our passion for endangered animals and the need for strong conservation policies. So we have a few sticks in the fire and we will see if this upcoming year seems to be the time to implement them. 10. Any advice for other people traveling as a couple, whether it's full time or once a year? Find your groove and create habits you each do. Utilize each other’s strengths and do what you are good at. For us, Chris does almost all the research for how to get from point A to be B, photo downloading, organizing and editing and some key point travel planning (like reading the finer details and realizing we needed to book our Pinnacles Hikes in Malaysia ahead of time!) I do all the networking, blogging, writing and keeping our connections strong with family, friends and readers. Even though it may seem impossible to have ‘routine’ when traveling, we each have our own chores. Chris almost always does the laundry while I wash dishes. I always get morning coffees for us while Chris makes our evening Milo or tea. In this way we still do things for each other and it provides some structure in a lifestyle that changes every day. Traveling with your partner is one of the greatest privileges there is. Every day we are reflective and thankful for this life we get to live. We are able to achieve this traveling lifestyle because of the choices and sacrifices me make. I believe all of us have a dream (or multiple dreams) to follow. At certain times in our life, we may not know exactly what that dream is, but I believe it’s our responsibility to find out. Being a vagabond may not be for you, but the spirit of following and discovering our passions is a key ingredient to leading a full life. Thank you so much for reading and to all of us out there, journey onwards. BIO: After her first year at university, Tiffany moved to Wyoming in the spur of the moment decision to live on the floor next to a washer and dryer. She has never looked back since embracing a life of adventure. With her husband Chris, she travels the world full time as a travel blogger, writer and photographer. Follow their travels at www.vagabondway.net and don’t miss out on the almost daily photo on facebook, twitter, Instagram, pinterest, google+. Thank you Tiffany & Chris for being on my blog! I loved getting to know you both. I enjoyed the thoughtful answers to each question and I feel like you two are my friends now! Not to mention the fantastic pictures; the elephant photo is my favorite! Vagabondway is my all time favorite blog! Always beautiful photos and fun stories. Thank you Kana for featuring them in your Friends post. Oh thanks! Well glad you are such a fan. :) We were so pleased to be featured on Kana's blog and share some of our past leading up to where we are now. Glad you enjoyed.